WORLD'S MOST POWERFUL PMA's - WE MAKE PMA's WITH "SCIENCE ADDED"
electricity from Wind, Hydro, Steam and Bio-Diesel power systems. coil of standard brush type alternators. Get a real PMA! not waste power by having to continuously create an energy intensive magnetic field. #PC series - Power-Core PMA Technology! 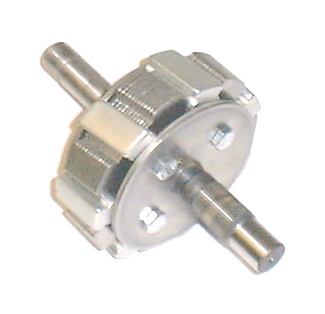 Our PMA's include fan, pulley, spacers, shaft nut and lock washer. three wire version contact us immediately after ordering by Emailing us a note. #PC1212 Power Quad Core - Only $189.95.95 plus $22.50 S&H fee. 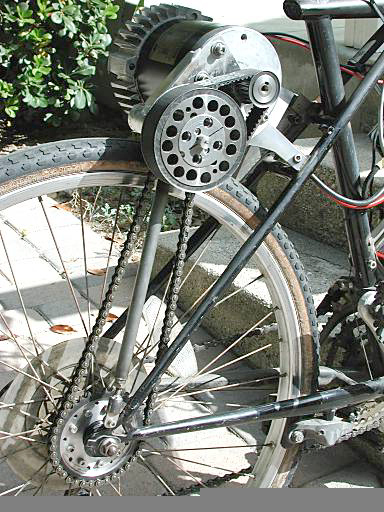 Serpentine pulley system required for high loads 2700 RPM MAXIMUM! Our PMA's include only the spacers, shaft nut and lock washer. #PC1212AC Power Quad Core - Only $189.95.95 plus $22.50 S&H fee. 1275 RPM for 12 Volt battery charging. 1854 RPM for 15 Volt battery charging. 2365 RPM for 19 Volt battery charging. 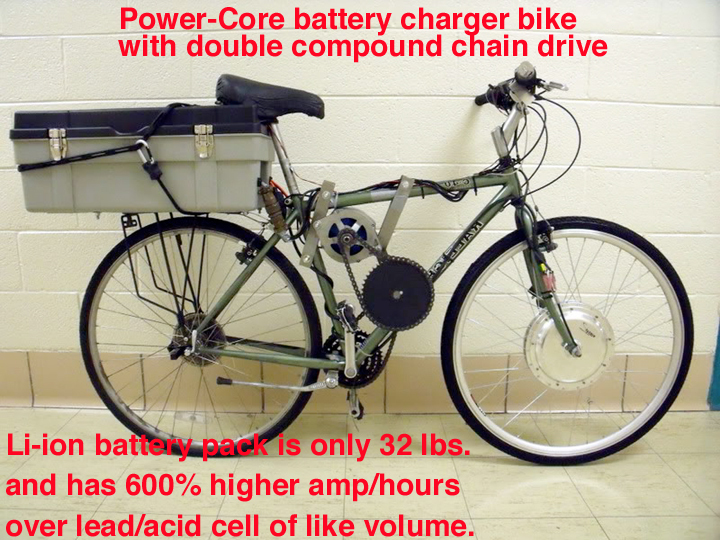 2700 RPM for 22 Volt battery charging. the since wire is just too small to work with. are just NOW getting broke in and stating their 75 year projected life cycle since there are no brushes to wear out or worry about. LOTS OF LOW END POWER GENERATION ABILITY! 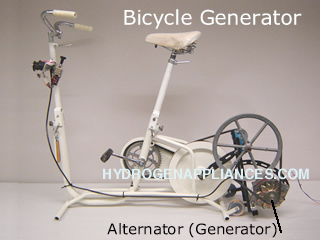 Capable of generating well over 4000 Watts at speeds over 9,000 RPM. 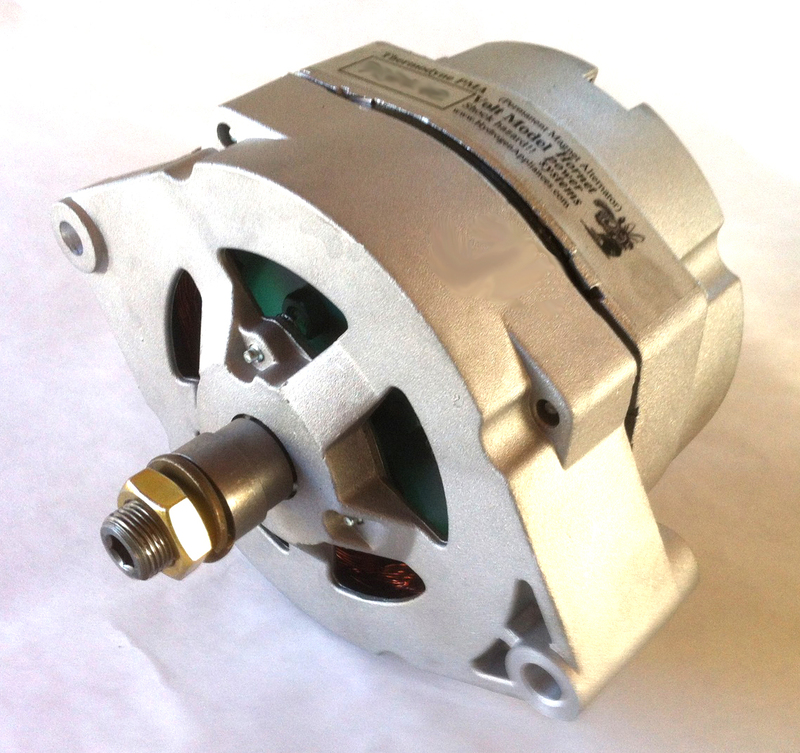 Stop wasting up to 50% of your power energizing the coil of standard brush type alternators. Get a real PMA! magnetic coils. A PMA does not waste power by having to continuously create an energy intensive magnetic field. Photo shows two of our PMA units that one of our customers powered with an 8 HP engine. After thousands of hours the PMA's are just NOW getting broke in and stating their 75 year projected life cycle since there are no brushes to wear out or worry about. The PC120 series makes 12 volts spinning by hand or 680 volts at 6000 RPM (PFK cooling fan kit) - Please NOTE! This model has very fine wire and is easily burnt out when over heated. You must use a 10 amp fuse when doing test work with this model. Carefully evaluate and analyze heating problems before jumping to higher amperage fuses. Please note that cooling fans are also ineffective at speeds below 2500 RPM. DO NOT OVER LOAD THIS MODEL WITH HIGH AMPERAGE AT LOW SPEEDS!! PC series PMA's weigh 12 LBS. - Size 8" X 7" X 7"
WARNING!! Make sure you connect a PMA to the correct battery polarity. Positive PMA to positive battery terminal and negative PMA to negative battery terminal. IF you reverse the connections you will burn out your PMA as the power rushes past the blocking diodes and melts your coils!!! Model #PFK Series - $44.00 ea. Choose from the TWO sizes below. A LARGE extra heavy duty cooling fan must be used for all engine, hydro and or belt driven systems. Wind turbines usually have enough air circulation not to require a fan BUT you must determine this fact by testing and observation. Specify your series #PFK cooling fan kit option at the time of your PMA order. Our PMA's are not fail safe!!! If you over load them they can burn out!!! You as the designer must watch carefully for signs of over heating. We will not warranty any fried PMA's!!!!!! IF you are pulling over 500 Watts without a cooling fan your PMA it will over heat! Fan kits are very important to have on ALL high amp applications!!! !--- Keeping your PMA's cooled, fused and under reasonable loads is the operators full responsibility. Monitor your PMA for excessive heating in all experimental machinery! 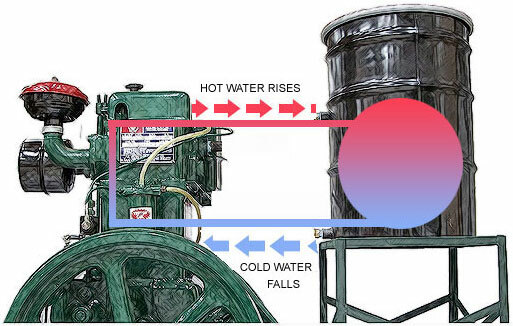 Maximum PMA's operating temperature is 350 F. for 100% duty cycle. No warrantees on ANY burned out PMA's! 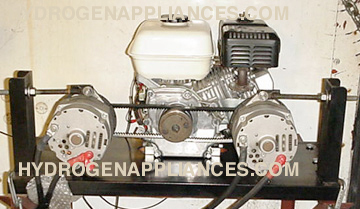 They are sold in good working condition and you have to keep them cool and never over loaded regarding amperage draw. A PMA RUNNING SLOW WHILE DRAWING A FULL AMP LOAD IS A DEAD PMA! correctly or you may find yourself burning up a few PMA's as part of your learning curve. 5 to 8 HP engines are the most popular choice for people trying to achieve maximum results from their PMA's when utilizing internal combustion engines. A 5 to 6" engine pulley works good on 4 to 10 horse power engines and a 6 to 9" drive pulley has reportedly worked good for 10 and 18 horse power engines. Do you have low wind and can't get up to charging voltage?? - Try SERIES / PARALLEL wiring for battery charging.